Newborns are often affected by jaundice, which makes their skin and eyes have a yellowish tinge. This usually appears on the second or third day. If your infant is full term and healthy, mild jaundice is nothing to worry about and will resolve by itself within a week or two. On the other hand, a premature or sick infant with very high levels of billirubin, (a yellow coloured pigment of the red blood cells) will need close monitoring. Presence of excessive billirubin is the main cause of infant jaundice. 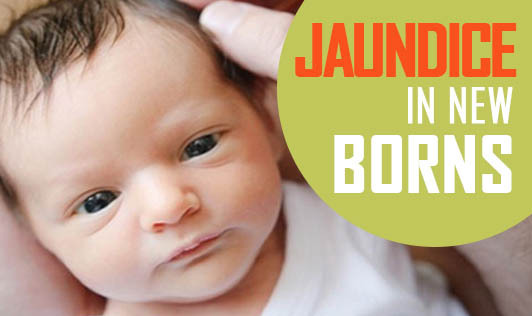 The symptoms of jaundice in infants are usually yellowing of the skin and the whites of the eyes. The colour sometimes begins on the face and then moves down to chest, belly, legs, and soles of the feet. Infants with severe jaundice may experience extreme tiredness and poor feeding. If your infant has any symptoms of jaundice, contact your doctor immediately!